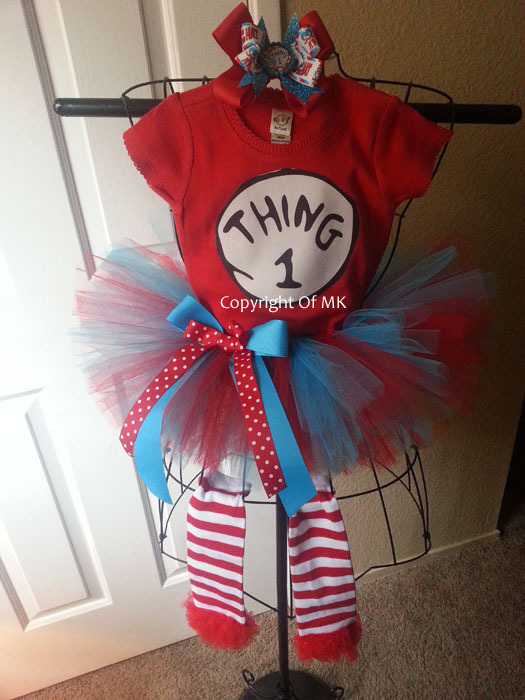 Are your little angels a fan of Thing 1 and Thing 2? If so, they will love our new Thing 1 and Thing 2 set. This set is great for twins, siblings, best friends and cousins. We even have the option of putting Thing 3 on the shirt as well. 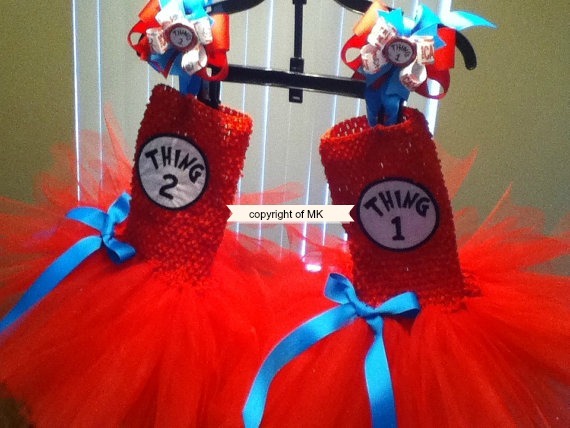 This tutu set is perfect for birthday celebrations, special occasions, Halloween or everyday wear. 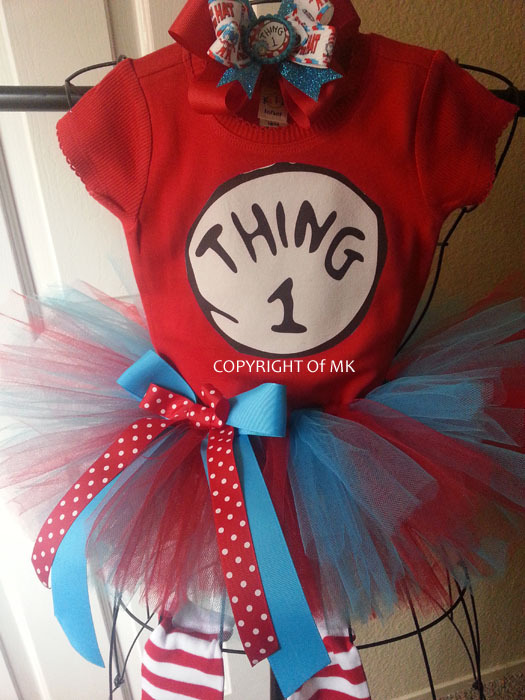 Tutu, Thing 1 shirt, legwarmers and tulle hair accessory.